The villa, spacious and pleasant APPT F4. Stunning sea and countryside. Property 53: The villa, spacious and pleasant APPT F4. Stunning sea and countryside. Apartment great comfort. Breathtaking sea view. Property 58: Apartment great comfort. Breathtaking sea view. luxury services and sea view for this beautiful T2 Cove mitan !!!! Property 69: luxury services and sea view for this beautiful T2 Cove mitan !!!! Nice T3 on the floor of a villa. Balcony overlooking the Caribbean Sea. Property 82: Nice T3 on the floor of a villa. Balcony overlooking the Caribbean Sea. Beautiful T2 with sea view direct accessbeach of the cove mitan !!!! Property 85: Beautiful T2 with sea view direct accessbeach of the cove mitan !!!! NICE T2 IN SMALL RESIDENCE BEACH FEET !!!!! Property 90: NICE T2 IN SMALL RESIDENCE BEACH FEET !!!!! 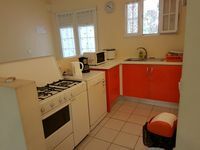 charming rental in Trinidad with sea view and pool. 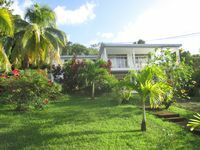 Property 99: charming rental in Trinidad with sea view and pool. Alphonse &amp; Liliane make you feel like family inviting you into their wonderful world. We tasted so many fruits, vegetables, spices for the first time, freshly picked from their trees or garden! Liliane is quite knowledgeable regarding medicinal plants. Ce couple accueillant vous partage leur style de vie tranquil et nourrissant. Ils sont toujours disponible pour vous aider mais tr&egrave;s discr&egrave;te! Rivi&egrave;re Sal&eacute;e est bien situ&eacute; pour l'exploration de toute l'&icirc;le et il fait moin chaud &agrave; sa hauteur. Liliane et Alphonse tiennent leur villa en tr&egrave;s bonne condition et c'est magnifiquement propre. J'y reviens...c'est s&ucirc;r!